No matter what your circumstances are, hope can be infused through many forms including support, guidance, encouragement and new-found wisdom/insight. Hope is necessary for life! Without it we will literally end up perishing. It gives us energy, strength, motivation and focus. Hopelessness takes away our ability to function, and robs us of joy. Hope is an anchor; it renews the body, soul and spirit. If you have lost your hope, know that finding hope again is possible! Beth Murray is the Founder of Fresh Hope Counselling. Beth is a Registered Psychologist in the Province of Alberta and offers over nineteen years of counselling experience. She is also a trained and experienced Level II EMDR therapist, Eating Disorders Specialist and trained facilitator for “Health At Every Size” (HAES). She received training as a Certified Clinical Trauma Professional with the International Association of Trauma Professionals. She has just successfully completed her post-graduate certificate in Chronic Pain Management from the University of Alberta Rehabilitation Medicine Faculty (PgCPain) in 2018. Beth is constantly learning and stays current with advances in the field of counselling and psychology. As a Registered Psychologist and former accredited member of the clergy, Beth has a wealth of clinical, pastoral and personal experience in mediating grace and hope to her clients. 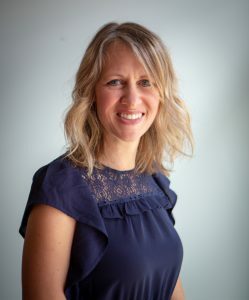 Beth has several years experience working as a Primary Therapist at an Inpatient Eating Disorders’ Treatment Facility, as well as many years in outpatient settings. She specializes in eating disorders, mood disorders including depression & anxiety, trauma recovery, grief, EMDR, spiritual issues, self-esteem/worth, dealing with chronic pain, communication skills, breaking down perfectionism, managing life’s transitions, and training in new skills (CBT Cognitive Behavioural Therapy and DBT Dialectical Behavioural Therapy). She also works with highly sensitive people in learning how to manage their sensitivity rather than trying to detach from it. Beth is a highly skilled and relational therapist and counsellor. Her clients feel supported as they work through their struggles. She is solution-focused and likes to see her clients experience freedom and healing as quickly and effectively as possible. One thing Beth brings to each session is hope; she believes that hope is necessary to life. She has a good sense of humour and teaches clients to reframe using humour. In her spare time, she teaches at conferences, workshops and in group settings. Beth Murray is a member of the Alberta College of Psychologists, the Canadian Psychological Association, and the Psychologists’ Association of Alberta. She has also been approved to provide counselling for Veteran’s Affairs, the RCMP and Canadian Armed Forces. Trust her years of experience to help you! Beth is a happy wife, mother and grandmother. She and her husband enjoy travelling together, especially to warm places where there are beautiful beaches, shells and dolphins! 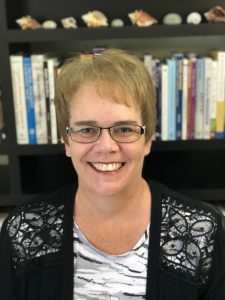 Cathy served as a Child and Family Mental Health Therapist with CASA (Child and Adolescent Services) for fourteen years and a Mental Health Therapist within Edmonton Public School System/Alberta Health. Her experience with children, adolescents and families has given her a wealth of counselling experience and ability to help clients with a breadth of problems including mood disorders (especially depression and anxiety), attachment issues, anger management, conflict resolution, and grief & loss. Cathy was a Therapist with Parkland Turning Points Society in Stony Plain where she did individual and group therapy for the prevention of Family Violence and Treatment for abuse survivors. She has been involved in ongoing program development in Family Violence Prevention and Treatment, as well as public education and training. She is very skilled and versed in abuse healing and recovery from trauma. Cathy’s experience makes her a caring therapist who works to further the health and well-being of all her clients. She is skilled in CBT (Cognitive Behavioural Therapy), DBT (Dialectical Behavioural Therapy), trauma therapy and attachment treatment. Cathy has helped children, adolescents and adults to feel safe and supported in exploring their feelings and concerns. She helps them set personal and family goals, by including practice strategies to increase a sense of security, health and wellness and to improve day-to-day functioning at home, school and places of employment. Cathy provides clients with safe space to gain insight, make decisions and access their inner creativity, joy, hope and resourcefulness. Cathy is the mom of three growing adolescents, a busy wife and tries to keep her parrot from destroying their home! We are so excited to have Heidi Marchand bring her set of skills, experience and talent to Fresh Hope Counselling. Heidi finished her training in 2001 and started to work as a therapist shortly thereafter. Her learning was incredible and she knew that she had found her passion: To help people! We are confident that you will find Heidi easy to relate to, passionate about her counselling and committed to giving you her best. 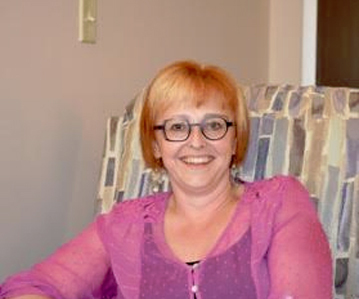 Heidi has worked as a Registered Psychologist since 2004 with a rich and varied history of providing psychological services in Mental Health Clinics, a private Christian Counselling Agency, hospital settings, including the University of Alberta Stollery Hospital and the Grey Nuns Learning and Development Clinic, and a private practice. Heidi has also had the privilege of teaching Psychology courses at Concordia University College as a sessional instructor. 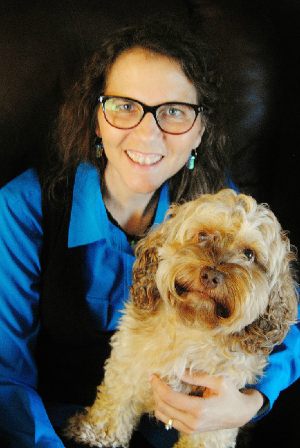 In her years of experience, Heidi has become skilled in working with young children, ‘tweens, adolescents and adults. She enjoys working with individuals, couples and families, and strives to help relationships move towards improved health and well-being. Heidi’s experience spans work with attachment disorder, bi-polar, mood disorders, personality disorders, Asperger’s, grief, obsessive-compulsive disorder (OCD), oppositional defiant disorder (ODD), self-harm, and impulse control. Heidi comes from a family systems perspective and employs sand tray/play therapy, CBT (cognitive behavioural therapy) and SFBT (solution focused brief therapy). She is a life-long learner and most recently completed additional training in Emotionally Focused Couples Therapy (EFT). She is also an excellent Christian therapist for those looking for a faith perspective in their counselling. Heidi believes that the therapeutic relationship is the most important part of therapy and is able to connect well with her clients. Family is very important to Heidi and she loves spending time with her husband, kids and extended family. She can often be found cheering on her kids at the hockey arena. Heidi values relationships and tries to make time to connect with those who are dear to her on a regular basis, especially when coffee drinking is involved! Most recently, Heidi has completed her training in Emotionally Focused Couples Therapy and is eager to implement this very effective therapy into her practice. We are so pleased to have Sherri Farbin join our team at Fresh Hope Counselling. 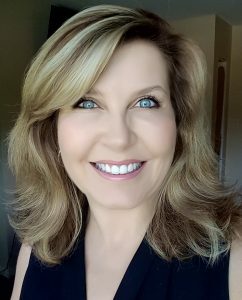 Sherri is a Registered Psychologist and Marriage and Family Therapist who graduated from Loma Linda University in 2009. She is a dedicated therapist who effectively works with clients to guide them through a variety of situations. Her counsel equips them to use their strengths and accomplish goals they set. Her former life as a teacher gives her a wealth of insight and experience with families and the education system. Sherri is experienced in working with clients age 14 and up & connects well with teens, couples & families. She brings with her a rich education base in family and couples systems to provide effective guidance to those struggling with relationship issues. She is also gifted in helping people work through issues from their past. Sherri has a personal faith background that enables her to provide support and faith based counselling to those who are wanting their faith/spirituality included in the sessions. Sherri approaches counselling with a variety of therapeutic approaches including solution focused, cognitive behavioural therapy (CBT), emotion-focused therapy, the Gottman method, Dialectical Behaviour Therapy (DBT) and family systems therapies. Her vast experiences, personally and professionally, have equipped her to work with mood disorders — including depression and anxiety, self-esteem/confidence, grief and loss, relationship issues and marital conflict. Sherri is a life-long learner and has taken additional training to keep her current and aware of new and helpful skills, including EMDR! As a therapist, Sherri is proficient in helping clients deal with work related stress/workplace challenges, as well as teaching about boundaries and how to implement them. She has also worked with various addictions and helps clients with anger management. Sherri is an authentic woman and therapist who believes in her clients. She fits in well with our team at Fresh Hope as she is also a true believer in the power and essential nature of hope. She has a good sense of humour and brings a strong ability to connect with her clients — one of the biggest predictors of success in therapy. She brings a genuine love for helping people become whole, healed and free. Sherri is a happy wife and mother who enjoys spending time with her family. In her spare time she likes to do chalk paint projects and travel to hot sunny locations for a break from long, long, long Edmonton winters! We are so pleased to have Dr. Cath Thorlakson on our team at Fresh Hope Counselling. Cath has worked in a variety of contexts including private clinical practice, mental health clinics and addiction services, post-secondary institutions, as well having been an accredited member of the clergy. Her experience spans over 27 years in pastoral ministry, camp work & clinical counselling, Addictions & Mental Health for Alberta Health Services, and now private practice. Her experience covers many issues like domestic violence, relationships, family therapy, anxiety, depression, healthy living & life skills, and Christian counselling for persons of faith. Cath holds a PhD in Educational Psychology and loves to teach, lead support groups and counsel clients. She is registered as a Psychologist with the College of Alberta Psychologists, and a member in good standing with the American Psychological Association and the Psychologists’ Association of Alberta. Cath holds a certificate in Clinical Interventions in Trauma from the Justice Institute of BC. In her years of experience, Cath has worked with couples and families, as well as children and adolescents. She has a special interest in developmental disorders such as ADHD and Autism Spectrum Disorder, as well as the challenges that these pose to the individual and their families. ADHD was a primary focus in her PhD and her dissertation allowed her to gain a deeper understanding of this disorder and the complications it presents to families. Cath’s years of experience also include pastoral counselling, working with families, singles, women, young adults, teens and children. She trained counsellors in camp settings; providing guidance and consultation on many issues common to youth and other staff in those settings. She has taught workshops and support groups on topics like domestic violence, several mental health issues, addictions (including activity addictions like gambling and shopping, as well as substance abuses like alcohol & drugs), parenting and basic life skills. Dr. Thorlakson has worked with children and adolescents on issues such as grief, trauma, depression, anxiety, and various family struggles. She has consulted on highly specialized cases and provided psychological services for children and youth in Addictions & Mental Heath Clinics. Cath has a passion for helping and supporting women, men, and families to become healthy, whole and functional. She is a happy wife and mother of two kids and a very fluffy dog. Glenn Scheideman is the Office Administrator for Fresh Hope Counselling. 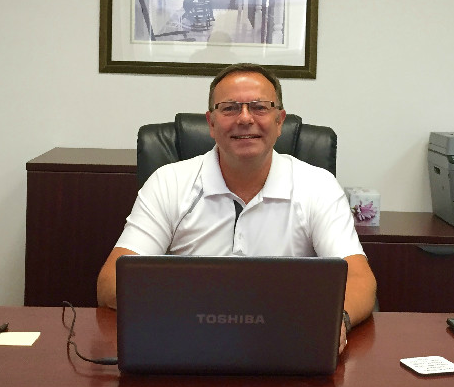 Glenn brings a wealth of customer service, business knowledge and genuine care to this position. He has worked in public and private sectors of business and served in various positions with client care, bookkeeping, sales and general office administration and management. After transitioning out of owning and operating his own company, Glenn joined Fresh Hope Counselling in August, 2010. Glenn also has the distinct pleasure of being married to Beth Murray! Together they invest their time, energy and passion into making Fresh Hope Counselling the best Counselling Agency and Psychological Service it can be. Their vision is to make Fresh Hope Counselling a solid team of Psychologists and Master’s Level Therapists who can meet the needs of our clients as effectively as possible. When you call to make an appointment, or send in an e-mail to get more information, Glenn will be the compassionate link that welcomes you, answers your questions and assists you in getting started with counselling. He is the one who works to meet your scheduling and billing needs. We are glad to have Glenn at the hub of our operation.